The year 2018 is set to go down in history as a pivotal year from an information technology perspective, with the first commercial deployment of 5G expected this year that will dramatically boost data consumption, says a top official of Swedish telecommunications company Ericsson. "We believe that 20 per cent of all data traffic in 2023 will be on 5G, and 20 per cent in 2023 is potentially more than all kinds of traffic we have today -- about 1.5 times more than the total of 4G/3G/2G traffic today," Patrik Cerwall, Head of Strategic Marketing, Business Area Networks, Ericsson, told IANS in an interview. "We believe the usage in 5G will be higher than 4G. Users will be using more data -- not necessarily time -- as smartphones would have newer capabilities such as virtual reality (VR), augmented reality (AR) and 4k videos that will allow you to look around in a video," Cerwall, who is also the Executive Editor of the Ericsson Mobility Report released this week, added. 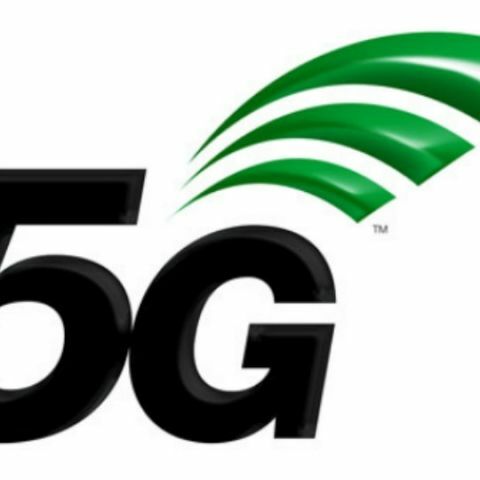 North America is expected to lead the 5G uptake, with all major US operators planning to roll out 5G between late 2018 and mid-2019, said the 14th edition of the report that provides projections and analyses of the latest trends in the mobile industry. Ericsson predicts that the 5G subscriptions will become available in India from 2022, but even then, the total mobile data traffic per month in India is expected to grow five times by 2023 -- rising from 1.9 exabyte (EB) in 2017 to 10 EB by 2023. "I am not sure about the exact deployment timeline as it depends on market dynamics and spectrum availability and a lot of other factors. There are a lot of developments happening with regard to the devices and that's why we are looking at a broader scale and understanding when the devices are going to be available," Cerwall explained. Ericsson says that the first commercial smartphones supporting 5G are expected early next year. "The first smartphone we feel will be around the first half of 2019 on 2.6 GHz and we will see more smartphones coming in by the end of 2019," Cerwall said. "We see 5G adding capacity to networks, but at the same time we see enormous improvements in matters such as screen resolution, ability to enhance processing power of phones, etc.," Cerwall said, adding that 5G will later bring in changes on Industrial IoT (Internet of Things) use cases as well. "So, basically, 2018 will be pivotal year where things will start changing a lot even though we might not notice it," Cerwall said. "It's very similar to the period in 2007 when the smartphone first arrived and we did not realise its implications on the entire ecosystem till 10 years after," he added. The Ericsson Mobility Report predicts that there will be around 3.5 billion cellular IoT connected devices by 2023. "On IoT, we believe that India will see a growth from 19 million up to 72 million connected devices by 2023," Cerwall said. IoT cellular connectivity will mainly be provided by LTE/4G and 5G by 2023, with 5G supporting an increase in IoT applications, especially those requiring critical communications, according to Ericsson. In introduction of new IoT services too, 5G is set to play a critical role. "However, I feel it is very important for operators to not only look at 5G and IoT. They should also focus on improving their network performance by putting out advanced features on LTE and then conducting surveys with consumers to understand the change that has taken place," Cerwall said. The deployment of 5G, according to Ericsson, could help telecom operators reduce per gigabyte data cost by 10 times, compared to current 4G networks. But for 5G to be possible, 4G must attain a good level of maturity and India is on its way to achieve that, as, according to Cerwall, "by 2023, LTE is going to account for 80 per cent of total subscriptions in India". What to do with xolo black 3gb out of warranty. ?